Team Foundation is a multitiered application for which users install some components on client computers and other components on the application tier. You can extend Team Foundation by using its client object model on the client computers or the server object model on the application tier, and you can customize your build process by using the build process object model on the build machine. By using the client object model, you can extend the features of Team Foundation that relate to version control, tracking work items, and build. Applications that use this object model must run on a computer that is also running Team Explorer. You can find the assemblies in the client object model in Program Files\Microsoft Visual Studio 10.0\Common7\IDE under ReferenceAssemblies\v2.0 and PrivateAssemblies. Applications that use the server object model must run on an application-tier server for Team Foundation. 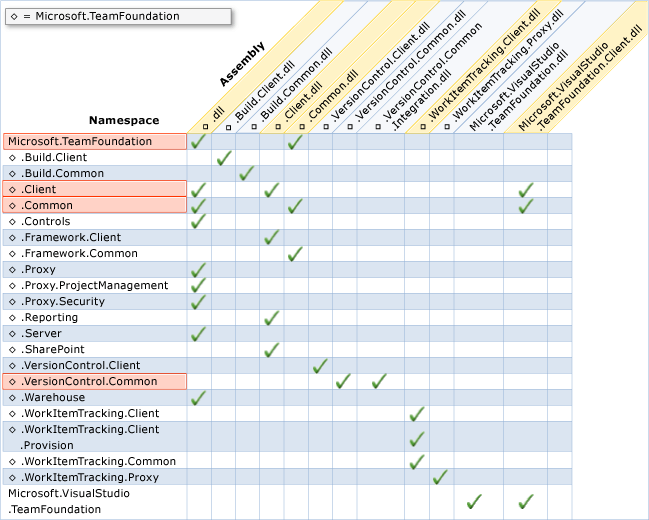 You typically use this model to integrate other tools and data into Visual Studio Team Foundation Server. You can find the assemblies in the server object model in Program Files\Microsoft Team Foundation Server 2010 under Tools and Application Tier\Web Services\bin. You can customize your build process by using the build process object model. 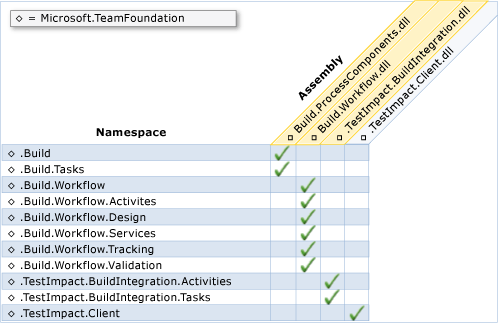 The build process object model is installed with the Team Foundation Build Service. 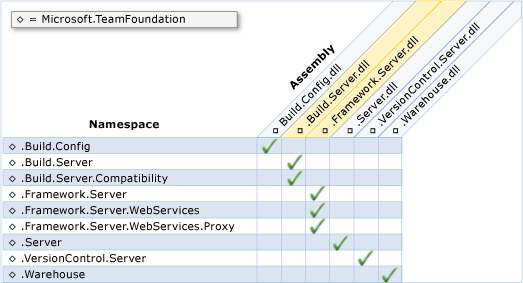 You can find the build process object model in the global assembly cache (GAC).